Ah closets. It seems like we can never have too many of them. However, they can be a bit, well, dull. Most closet doors are fairly plain and, at best, are neutral on the contribute-to-the-look-of-the-room scale. OK, we made that up, but you know what we mean: Most closet doors aren’t exactly very interesting; not even those double sliding doors that at least try to liven the place up by repeatedly coming off their tracks. Rather than having your eye pass over these portals to your stuff, what if they were eye-catching? You can achieve this by chucking your doors and installing curtains for closet doors. We’ve got everything you need to do this: curtain tracks, drapery hardware…even the curtains if you need them. We will leave the creative piece up to you, but here are some ideas: hang a flowing sheer with whimsical appliques in a little girl’s room to give the princess/fairy feeling; or show off a perfectly organized closet with two luxurious tied-back curtain panels. Live in an apartment and can’t paint the walls? Hang a colorful curtain in place of the closet door to add some color and vibrancy to your room. 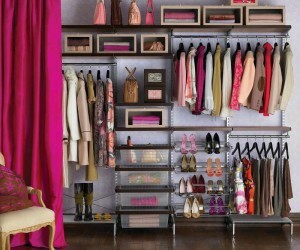 Once you learn to let go of closet doors, the design possibilities become almost endless. Curtains for closet doors give you more practical flexibility than doors or rods. They are great in small spaces where you don’t want to take up space opening and closing the door. 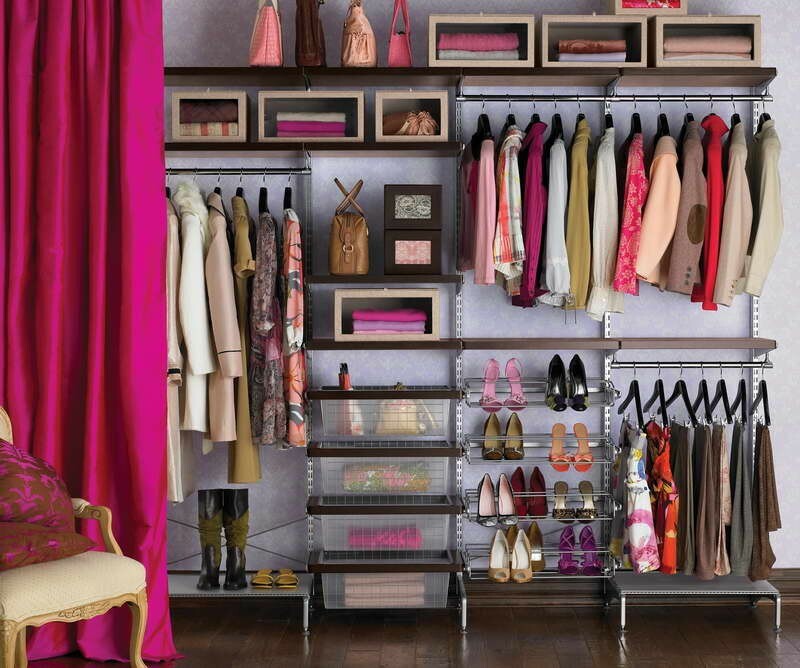 They can also make closets where none exist by hanging a curtain on a ceiling-mounted flexible track (like the 6100 Flexible Curtain Track) around a clothes rack or other storage. A decorative curtain is great for most closet doors, but if you need something to stand up to rough treatment (twin boys, perhaps? ), we offer some heavy duty curtain panels in many different fabrics and colors. Our customer service reps know quite a bit about transforming closets using curtains and curtain tracks. Give them a call to get some support and advice: 888-434-7444.